New England Patriots quarterback Tom Brady praised Kansas City Chiefs counterpart Patrick Mahomes but said the NFL was different when he took over as a starter following his rookie season. 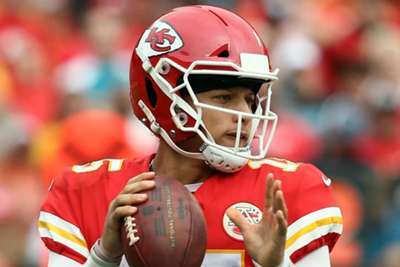 Mahomes has taken the reins in Kansas City after veteran Alex Smith was traded to the Washington Redskins in January – helping the Chiefs to a flawless 5-0 record. The 23-year-old is 112 of 176 for 1,513 yards with 14 touchdowns and only two interceptions following Kansas City's 30-14 win over the Jacksonville Jaguars on Sunday. Patriots star Brady, 41, also spent his rookie season in 2000 behind Drew Bledsoe, John Friesz and Michael Bishop before taking over in New England. "Football was different then," Brady told WEEI on Monday. "I think now, in some ways, pro football is more glorified college football. Maybe the transition is a more similar game than what it used to be when I first started. "I think football now, removing some of the physical elements of the game, it's more of a space game, you see a lot of college plays more in the pro game than what I remember when I started. That's kind of how things have went over the last bunch of years." Brady – in his 18th season with New England – admitted he has not spent much time observing the second-year Kansas City gunslinger, who has lit up record books and helped the Chiefs to five successive wins. Brady and the 2-2 Patriots will face Mahomes' Chiefs Gillette Stadium on Sunday. "I haven't studied him much, just some highlights which everyone sees, and obviously incredibly impressive," Brady said. "He's very talented. He's got what seems to be a lot of great tools to work with." 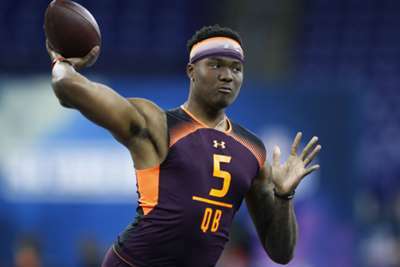 Patriots head coach Bill Belichick has also been impressed, added: "He gets the ball to all of his receivers quick, quick release, sees things quickly, can extend plays ... makes good decisions, accurate, gets the ball out on time. "No matter where it goes, it gets there pretty quickly. He can rip it."